RDA gives lucky horses and ponies a new lease in life and career opportunities beyond just standing in the paddock once the kids have grown, or the horses have finished their dressage, show or performance lives. 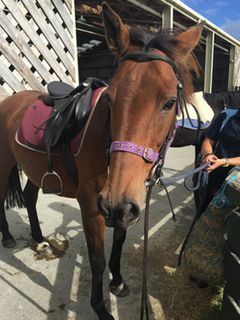 Horses suitable for RDA work are trialed first, and given plenty of time to settle into their new roles and become familiar with the RDA’s indoor arena complex on Vyner Road, Otatara, before being combined with their riders. It may take as long as six months to get them ready for their new career. Horses suitable for RDA work come from a variety of backgrounds and pathways, often ex-pony club, riding school or retired high performance horses. But whatever their background, they are the sort of horses who love people and are relatively unflappable. 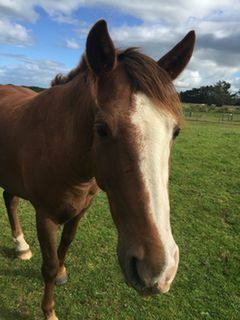 Owners often lease or donate horses to the RDA, and they are trialed for their suitability before they are integrated into the RDA programs. 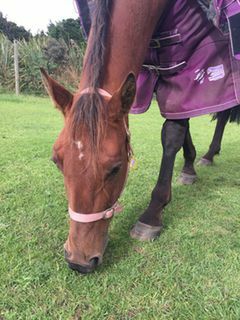 The beauty of giving your horse or pony the chance for another lease on life, is it keeps them fit and mentally happy because they are being exercised regularly and have the company of other horses. They thrive. We are also lucky in that we employ a horse care manager specifically to look after them and meet their daily needs. They are well looked after. 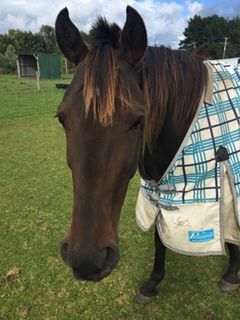 The type of horse most suited to RDA work are those between 13-15 hands, medium or heavier set types, including Gypsy Cobs, Connemaras, or Kaimanawa. However, the RDA Horse Care Team is happy to meet all horses to assess them for their suitability. If you think you may have a horse or pony suitable for riding work at RDA, please contact RDA President Alice Pottinger for more information on 027 228 9693. Zen by name and nature. A wonderful little Standardbred whose wise soul belies his youth. Thank you to trainer Brent Shirley for recognising the diamond in the rough, and offering Zen to us for our therapy riding. Sam is a recent addition to our little herd. He's inquiring and sensitive, and a great compact size that will suit many of our riders. He'll need a few miles before he'll feel confident enough to undertake the required duties, but his genuine interest in people make him a good candidate, so only time will tell. Harry arrived with us in June 2016 after leaving a successful, star-studded career as a SB racehorse. He's personality plus and is much loved by his trainer Nadine Oakes, who has been instrumental in training him for us. 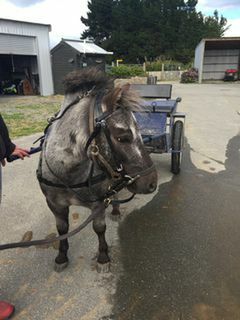 Our wee man Delight (who loves Gingernut biscuits) arrived full of beans, but after getting the "chop" from the vet has settled nicely into his new duties as our cart pony. Thank you to Jan and Kevin who've trained him to cart for us.